RV vacations are awesomely fun and always an adventure. When embarking on this most delightful trip, what though, could be a forgotten item that you wish you had brought? We’ll help you explore some frequently needed, but often overlooked accoutrements you’ll definitely need. So to find those forgotten RV rental must haves, let’s get going! MORE POWER! Phones, tablets, fitness/health watches and other electronic helpers are part of our daily lives now and RV vacations are no different. They all need power. Remember to bring cables, chargers and battery packs. Bring at least one cable per device. Extra charging cables might be the most forgotten RV rental must have! The whole family is going to be curious about your adventure, so getting great pictures is essential. If your phone has a great high megapixel camera, you’re all set. Otherwise there are many low-cost adventure cameras available on Amazon that get really great photos and video. Every cellphone has a camera built in now and every one of those is pretty high quality. But how are those going to stay steady or stay still for a family shot or a time-lapse? We recommend you bring at least one (1) selfie-stick and one tripod with a phone mount. These will get you steady and hands-free at the right times to get a great shot. Remembering details could be as easy as taking a photo, but the lost art of letter-writing is something very special to make part of your RV rental experience. Pros know, forgotten RV rental must have items are pens and postage stamps so that you can send postcards from your destinations to your loved ones. They’ll cherish getting them and it will make great conversation starters when you return. Your luxury RV rental should provide pillows, blankets, towels and bedding, but if you’re like me, you’ve got a favorite pillow. I like to bring extra pillows and a beach towel; they seem to get used every trip! Weather can vary and the unexpected can happen on an RV rental experience, so bring a rain-slick poncho and/or some sunscreen depending on the time of year. If little ones are coming along for the RV ride, make sure to bring age-appropriate reader books so they can continue improving reading skills. 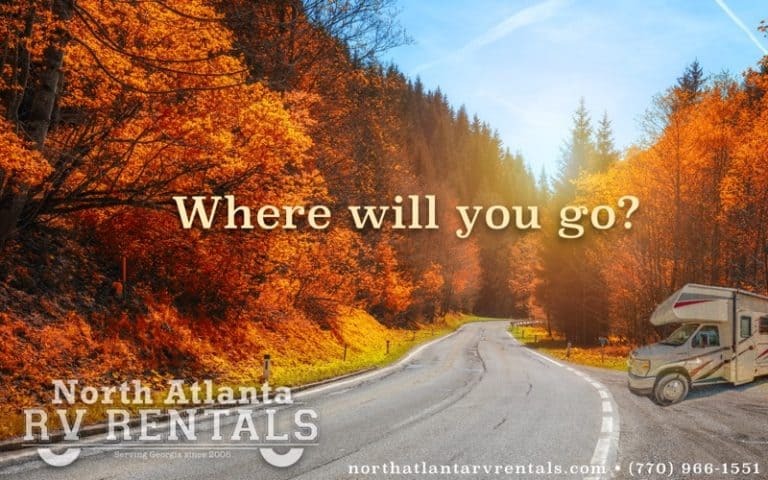 We hope you have the best RV rental experience ever. If you have other suggestions, let us know – we’d love to hear from you!